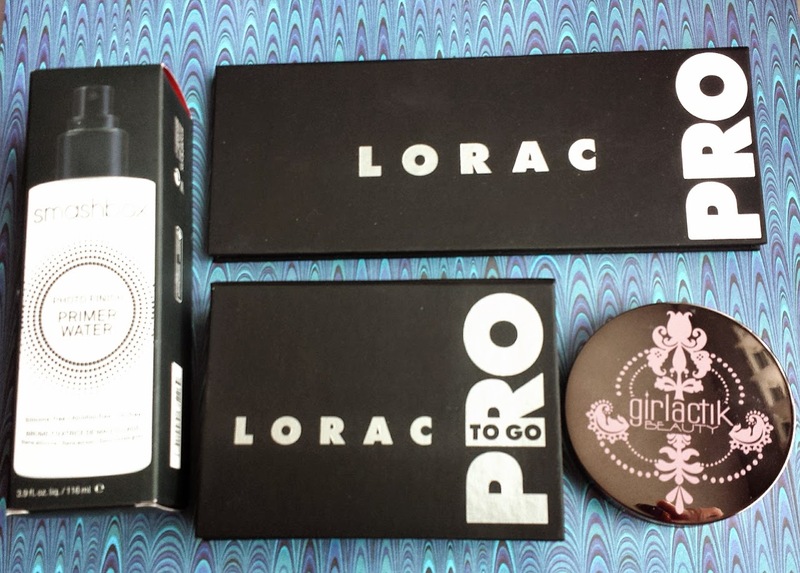 The Lorac Pro-Palette To Go, as its name suggests, is a really convenient palette. It has neutral matte and shimmer shades, including a black shadow which you can easily use as eyeliner. It also comes with 2 blushes, one coral one pink, and a bronzer. In addition, it has 2 brushes as well, a domed and angle one (for emergencies if you need to use it, obviously). 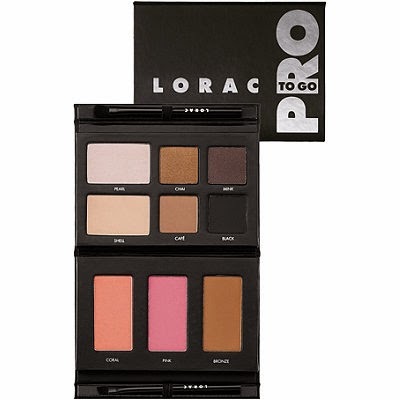 The original Lorac Pro palette offers the user 8 matte and 8 shimmer shades in a warm/neutral tone and really isn't comparable to any of the naked palettes that I own. There is more variety in this one palette - ranging from neutral browns, to purples and mauves. If you are debating between any of the 3 naked palettes or this, I would recommend this. If you are the type to only like working with a specific color range, for e.g. the original naked palette is mostly all neutral browns, then of course, go with that. Girlactik is a brand that I was introduced to by watching all the Lustrelux videos. She always uses the Bronzer in Cabo and it looks so amazing on her, so while I was in search of a new bronzer, I definitely wanted to give this a try and OMG it is amazing. It's matte, perfect in the amount of "sunkissed" glow it gives you. It doesn't run orange or muddy on the skin and this has quickly risen to one of my most coveted products. Lastly, I had received a gift to Sephora for Christmas that I already owned, so I had to go exchange it for something else. 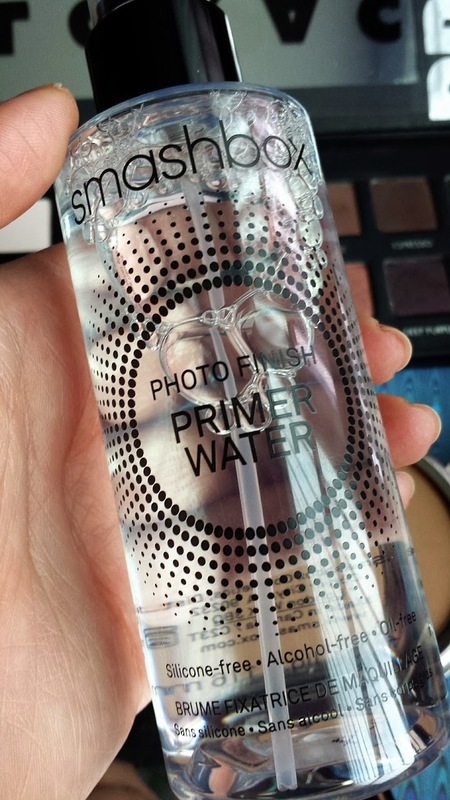 What caught my eye at Sephora was the new Smashbox photo-finish primer water. It is said to be silicone-free, alcohol-free and oil-free. You can use this as a primer to prep your skin for makeup application, or you can use this as a setting spray or refreshing spray. I thought honestly, this had to be a gimmick. I sprayed this on my hand and my friend Meagan's hand and we were both quite surprised at how soft our hand felt. On my hand, it instantly evened out any fine lines I had on the surface from dryness, and even after walking around Sephora trying to see if there was anything else I could exchange my gift for, I ended up going back to this. My hand felt magically soft and I had to take this baby home! Lord knows I DO NOT need any more blush, shadows (I have a Makeup Geek Haul en-route right now) and what not. Have any of you given any of the products mentioned above a try? Let me know your thoughts! I seriously need to get this primer! It's so interesting the way it works. Make up is magical, honestly. 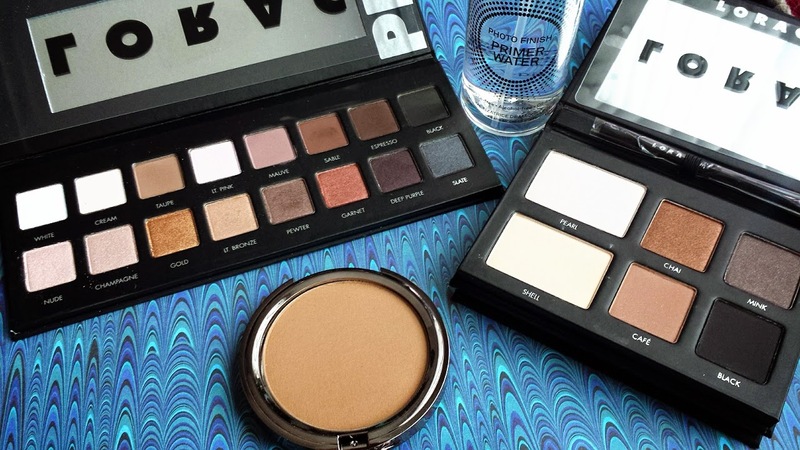 That Lorac Pro Palette is stunning. Super jealous (as always). Where were you when I was growing up? I wasn't privy to any makeup or any information about how to put it on. Or what were the best products. If I'd you as my make up sensei, I'de probably be a pro now. Anyways, thanks for the information and next time I have a chance to go to Sephora, I might get myself that Smashbox photo-finish primer water. Aw thats the sweetest thing anyone has said to me!! I recently created a facebook page for my blog - please support by liking Miranda Loves on there :) i post all my updates there as well and I'm on blog lovin! I have created a few looks on here as well if you want to check it out! Thanks again!! Btw if you ever have any questions on skincare and makeup let me know. I do alot of research on skincare and I'm the go to gal at my office LOL :) also i have a few skincare reviews coming up a few companies sent me some things to review so check back soon! I have not tried them, but you have me intrigued! it took me 2 years to finally get my hands on this baby.. so worth it! and the primer mist is kind of weirdly magical. I sprayed it on my hand.. thinking psh, it's water.. but it became baby smooth.. and my fine lines disappeared, its like it got hydrated and became smooth.. weird!